How do I manage my catalogs? As a Catalog admin, you can manage all of your catalogs and view an overall status on the Managed Catalogs page. Each catalog has its own settings and customization options. There are two types of catalogs: domain catalogs and subcatalogs. A domain catalog links your account in Canvas with your catalog home page and is created for you as part of the catalog setup process. A subcatalog creates a specific path URL where you can associate and brand specific listings for a department, organization, or team. Managing your catalogs allows you to add subcatalogs, manage user defined fields, customize catalogs, and manage categories. The Catalogs page shows your catalogs. You can view the catalog name , the catalog URL , and whether the subcatalog is shown in the parent catalog . In the name column, you can easily tell whether a catalog is a domain catalog or a subcatalog. Domain catalogs are left aligned to the page . Subcatalogs are slightly indented with a path icon . You can also see how many listings have been added to each catalog . 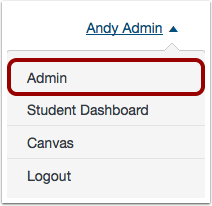 Note: When you sign up for Canvas Catalog, your domain catalog account will be created for you. Additionally, some subcatalogs may be placed within other subcatalogs. Each catalog shows the catalog's URL, or the link used to access the catalog. You can access any catalog by clicking the appropriate link. Subcatalogs can be shown or hidden in the parent catalog. On the catalogs page, you can quickly manage whether or not a catalog is shown in the parent catalog. By default, subcatalogs are shown in the parent catalog . To hide a subcatalog from the parent catalog, locate the subcatalog and toggle the Show in Parent button . To view or edit a catalog, click the catalog name. To delete a catalog, click the Delete icon. Note: You cannot delete a catalog if it contains course or program listings. Previous Topic:How do I access the Catalog API? Next Topic:How do I add a subcatalog for individual departments or organizations? Table of Contents > Admins - Catalog > How do I manage my catalogs?